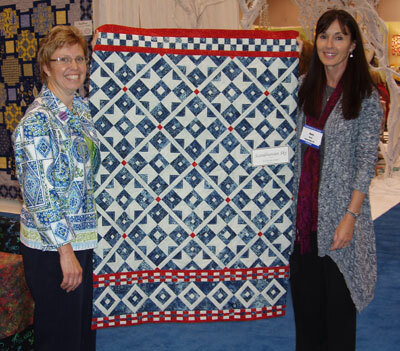 ← Just back from Spring Quilt Market! I am so lucky to have been connected with the great people at Island Batik for the last year or so. As promised, the next quilt in the Scandinavian Quilt Series is Scandinavian Sky. Here I am, with Island Batik owner and designer, Moira Dewar, showing off Scandinavian Sky. Although the designs in this series are pretty traditional, I loved using the batiks to give the quilts the appearance of texture. Of course, that’s not to say they wouldn’t look great using some of the other great fabrics out there.